The Svamitva Group has always valued human life and tried the best to assist the needy whenever possible. Like the group values it’s customer, it also understands the societal value and meaning of being responsible within the society. And, as part of this responsibility Svamitva always tries to uplift the people in need. As a part of the policy the Group never turns down any individual who approches for help. In the name and memory of the founder and guiding light of the Svamitva Group, Shree Shankarlalji Kojaji Mehta and his wife Smt. Varjudevi Mehta, Svamitva established schooling institutions now popular as S K Mehta Primary School and Varjudevi Mehta High School. Both the institutions have been instrumental in providing excellent education to more than a thousand students that arrive at the school from various rural areas. S. K. Mehta Primary School was established in 1992 to cater the needs of lower middle class population in Dahitane and its peripherals in Solapur. 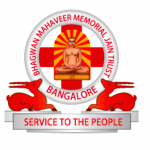 Various scholarships in the field of engineering and medical are provided to the needy students under the Bhagawan Mahaveer Memorial Trust, established by the Svamitva group. The same trust also helps many sick people with their treatment, too. Svamitva Group has donated 15 acres of land to Shree Swaminarayan Gurukul International School, Solapur. The main aim of this school is to maintain Culture and Sanskritik harmony in society. This school is a jewel in the crown and has created its own aura by delivering state of the art education. Presently, Svamitva Group has undertaken a project of constructing an extra room in over 25 schools that lie between Solapur to Bangalore. This activity will help in improving school infrastructure and will also provide learning opportunities to more and more children, thus taking a new step towards literacy improvement.